Welcome! Welcome! Welcome to the first link-up of Runner’s Tell All! I’m beyond excited you are here and I can’t wait to read everyone’s stories. Just organizing this link-up and knowing people are excited about it has inspired me to run more – a big thanks to you! 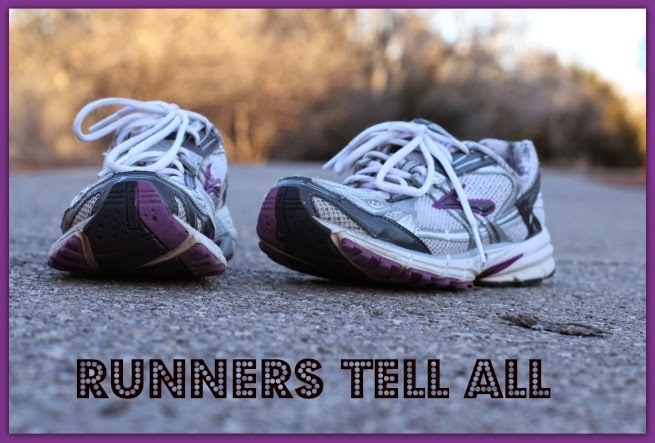 Runners Tell All is a monthly linkup, hosted by myself and Amanda, that occurs on the 21st of every month. Our goal is to build a community where we can encourage and inspire each other on our running journeys. Each month we offer two co-host options. This allows for us to connect with you, advertise your blog and it also helps fund the monthly giveaways. February's prompt is how and or why you started running in 250 words or less. Next month's theme is your favorite running gear / product. For more details or if you want to be a sponsor please click here. My oldest sister, while I was away at college, had picked up running. She lost a whole whopping 40 #’s from running and eating healthier. I was amazed! When I moved back home from college she introduced me to running. She helped me learn the basics and would go on some runs with me. Bless my sister because I was a grouchy bear sometimes. Being a new runner is hard! I mentioned I was ‘away’ for college. I went to a Bible school in Florida where I lived on campus and ate cafeteria food. I had no idea about eating healthy and I was rather ignorant on the subject. People warned me about the ‘freshman 15’ but … no one warned me about the ‘freshman 30’! Seriously! Before I left for college I had been sick and my weight had got down to 120 (I’m normally in the 130 range). In about 1-2 months I went from 120#’s to 150#’s! Did I mention I ate a cafeteria diet? A guy friend at college told me “if girls were a blow up/inflatable raft, college is the rip cord that blows her up”. Gees - Thanks, pal! It wasn’t said in a mean context but I remember thinking “that’s true”. So, when I moved home I started running, I started losing weight, I got a runner’s high and then I got hooked! And that’s how I started running. 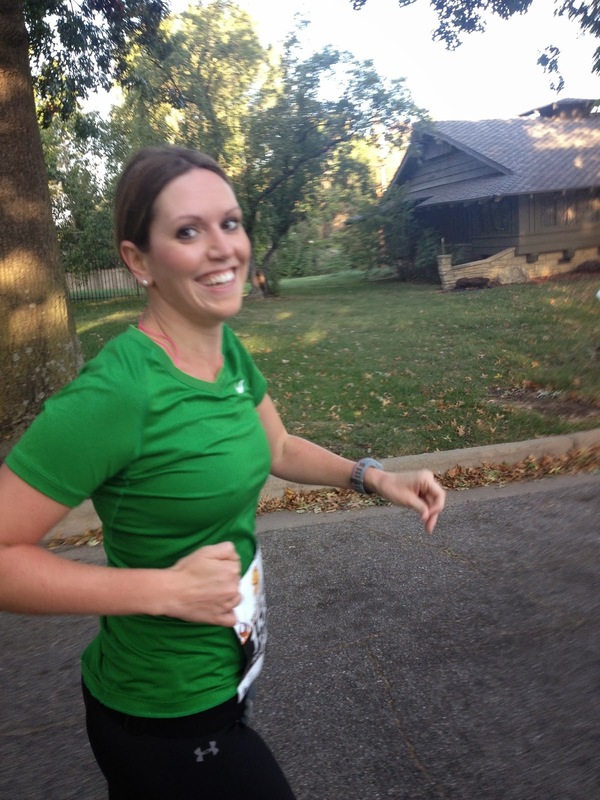 Lacy has a wonderful little blog all about running. In my book, she is awesome because she manages to be a Mom and a runner at the same time. She has a lot of races planned for 2014 including two 1/2 marathons and one full marathon. She recently wrote a great article sharing various workouts to keep you active for when there is too much snow out. If you need some new running songs - she has you covered too! 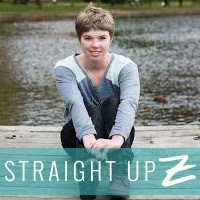 Straight up Z - what a fun blog name! Z recently went to skyzone in Boston and it looked amazing! I'm pretty sure that jumping on adult size trampolines counts as excellent cross-training. Z has a great little post where she talks about spotlight syndrome from running on treadmills. If you want to learn more about how she started running as well as some good running tips start here. Everyone' needs some fun running gear and we have got you covered. 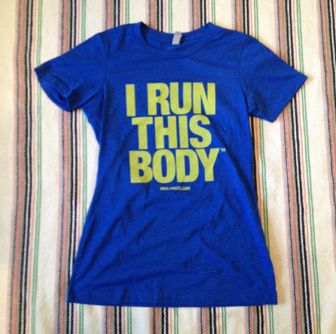 Enter below for your chance to win an 'I Run this Body' shirt. You will get to pick your color and size of shirt. To see more of I Run This Body gear check them out here. I'm saying it again ... I'm so excited to read your stories! Link-up, visit some other blogs and have fun! So glad I found out about this link up! I may have to share my story and link up later but definitely will be joining in next month! The runners high is definitely addicting, its what keeps us coming back for more! I absolutely love this link up and it's interesting to read your story about why you started running - it's almost exactly the same as mine! I already can't wait until next month. Thanks for joining us, Laura! Running is such an amazing way to just feel all around healthier. It helps you loose weight but it totally just makes you want to rock life in all areas! Thanks for hosting the link-up. Such a great idea and so much fun!! Thank you for telling your story and creating this link-up. I'm running my 4th half marathon this Sunday and this gave me that extra little push to try and hit my goal! New follower! 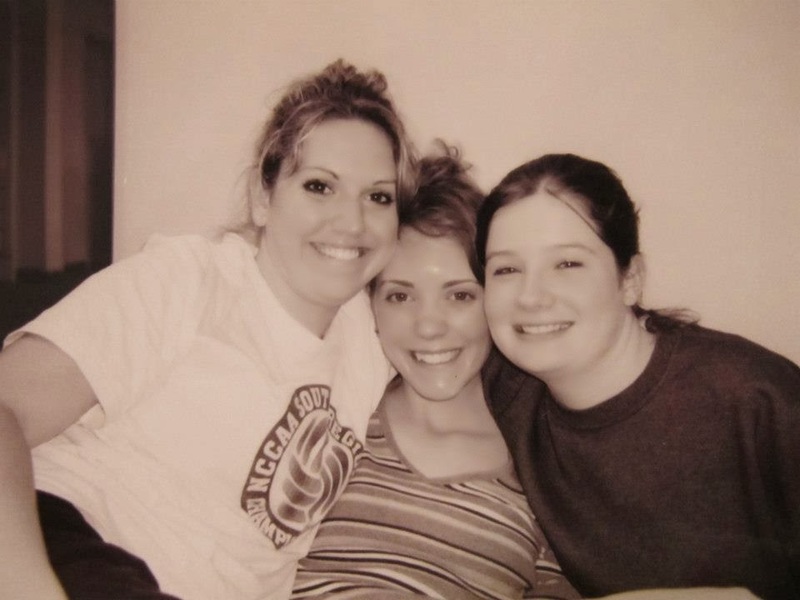 I started running in college because of my freshman 20! Lol. I had always loved sports--but had never "run" to just run before. And I became hooked too!! Thanks for hosting the link up! Loving it already! I'm glad I found your blog from this link up! I am excited to learn more about you & your story! I too have been losing weight from running and it is very weird to say that I actually enjoy running! Running was my go-to when I gained the freshman 15 and then the sophomore 30 on top of that. Training for my first half got me back down to a healthy weight range! Fortunately, I started running before I was old enough to really have newbie runner pains! Yeah I definitely don't miss the college cafeteria food. Thanks for sharing your story! So excited to be a part of the link up! Running is definitely a great (and fun) way to stay in shape! I ran my first half marathon with my two brothers. None of us were sure we'd survive it, but we were so excited and proud at the end of that race! Look at that smile! I am pretty sure I had a permanent frown during my half marathon. Love the linkup! I love this! Running is so addicting, and I love hearing different stories. Cute blog! Girl, yes. Freshman 30 here as well! I didn't take up running to get it off, I just ate miserably and let it hang out off and off for years after that. Then I had my daughter...that's what made me up and start running. I am loving this link-up and all the great people I'm getting to meet! You & Amanda are wonderful! You should share your story! It will be fun to read. I know, right? I was FAT! I have never felt more awful in my life and I'm so glad I took up running. I agree smart eating has to go hand in hand. I've had times where I ran but ate 2x the amount because I thought I was burning it off. I wasn't. I'm glad you are participating too! Yay! I'm so glad this series has given you some extra motivation. I'm sure you will do great on your 1/2 marathon! I'll be sure to check out your blog. =) ! I'm not glad other people had the freshman 15 / 20 / 30 but I am glad to hear that so many people took up running to get rid of the weight. I'm glad you love the linkup and I'm so thankful and excited that people are joining in. You are so kind to tell me I looked nice in both pictures. =) I think it's hard to NOT gain weight in college. It's just a huge transition in life and healthy eating is hard to make a priority. How is your whole 30 going? How many days are left? I'm glad you stopped over on my blog too. That is really great that you have been losing weight. Running is good for so many reasons. I'll be sure to visit your blog too! That's great that you lost weight running. I do think training for a race really helps with focusing on healthy lifestyle and weight loss. I hear ya! I think there is fat secretly hidden even in their salads ;) Thanks for joining in. I don't miss it either. I don't think I could ever eat it again. It grosses me out now. Thanks for stopping by and for reading my story. Glad you are joining in on the lnkup! It's been so neat to read everyone's stories. Thanks, Z! Glad you co-hosted and joined in with us! So sad that so many of us got bit by the freshman 30! That's great that your daughter helped you to start running. Maybe someday she will run with you! I'm glad you are loving the link-up and I'm so thankful people are joining in. Hi! Found your blog through Debbie @ Deb runs! This sounds like such a fun link-up idea! I will definitely get in on next month's link-up. maybe even this month's if I get real ambitious in the next 6 days :) Love your blog! I ran my first half marathon last year and am loving reading these stories about how everyone else started running! Great inspiration and reminds of all the reasons I love it! Having a buddy is so important when you're getting started! I've learned that even virtual buddies are a huge help. Just having someone encouraging you and pulling for you increases that internal motivation. I agree with the commenter below about running buddies. Being around others who inspire is so crucial with running. Thanks so much for sharing your story--and for hosting this series! This linkup is a great idea. Love to hear the inspirational stories! I have loved hosting this link-up. I'm so excited so many people joined in and shared their stories. It is scary to gain weight so fast. It happens before you know it. Then, the work to get it off ... well, I sure do remember that! Thanks for hosting an awesome link up - it's such fun reading everyone's stories and to hear the different reasons. I love that you started off running with your sister - me too. It's such a great help to have someone there with you spurring you in! Thanks for joining in! Sisters really are the best. I would have quit if she hadn't helped me push through all those hard runs.